Not always easy to decorate a modern setting. The decorating possibilities are almost endless, but often falls into the trap of overloading the environment or choose furniture cute but not functional. Well, that’s not the case of this shelf aluminum. The firm Aranaz has adapted very well to the current needs of people looking for useful furniture, functional and versatile. Moreover, this rack is very simple to assemble, lightweight and simple lines that blend perfectly with modern settings and youth . This aluminum rack is easy to assemble – comes disassembled in packaging and assembly instructions – and its main advantage is that it is very light and versatile. This shelf may be the ideal complement to place books in a study or office, or storage space in a modern setting but for the simplicity and effectiveness. 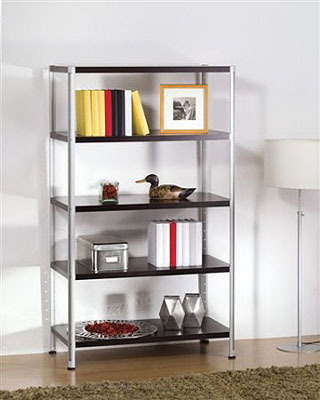 Aluminum is a noble material, which is maintained very well, and which ensures the durability of this shelf. 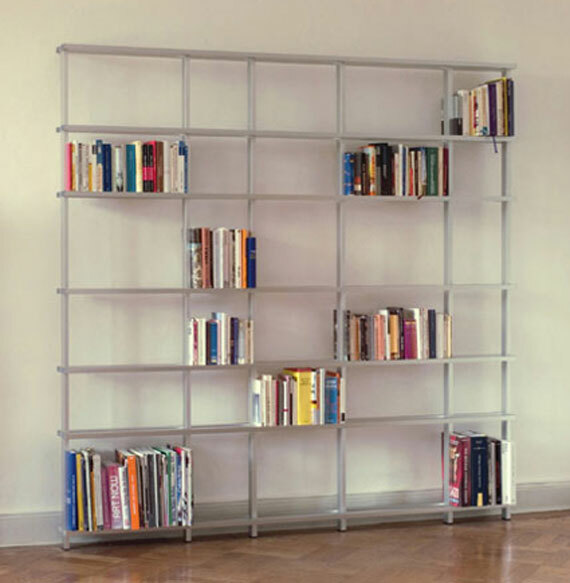 The shelves are available in several colors – in order to combine better with the environment where the shelf is placed – and the legs of the structure have a protective base to prevent the floor being ruined. This entry was posted in Entertainment, Furniture and tagged furniture decor, lightweight shelving for home decor, modern, rack decor, shelf dcor. Bookmark the permalink.